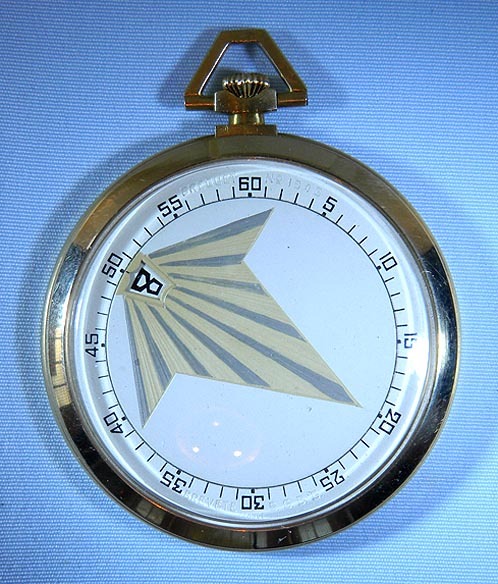 Fine, rare and elegant Breguet Art Deco wandering jump hour antique pocket watch almost certainly made by Robert Cart, circa 1930. 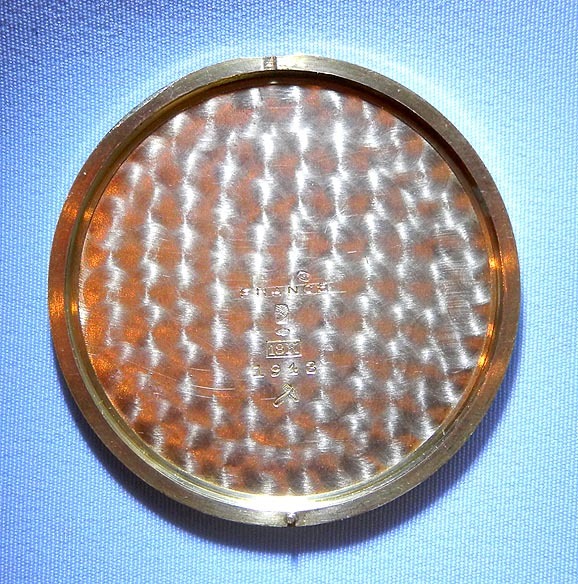 Handsome original three-tone dial containing the jump hour aperture and which rotates to indicate the minute. 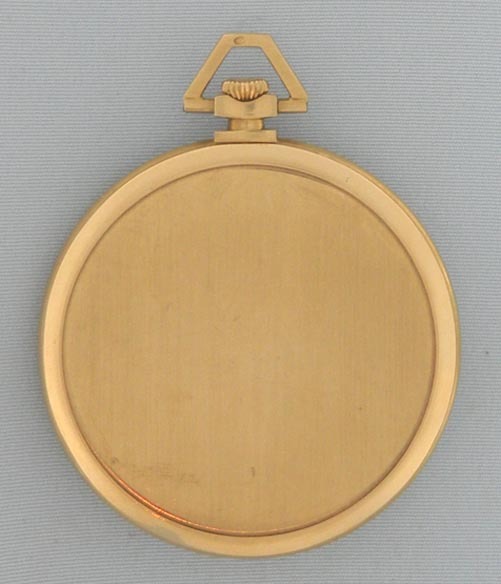 Plain slim 18K gold case. 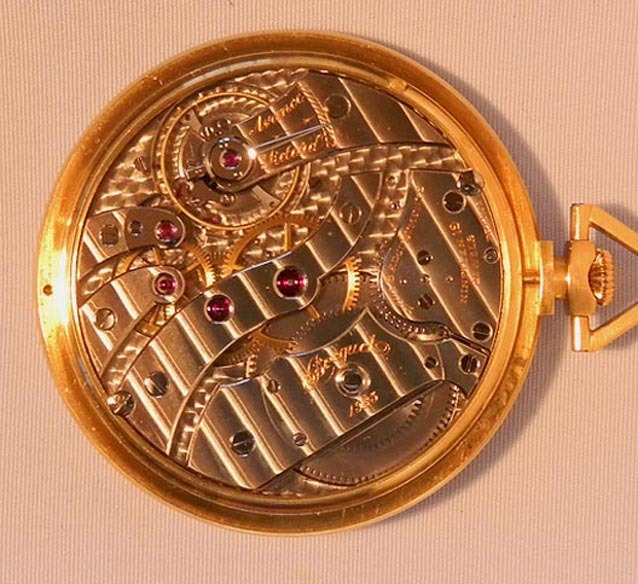 First quality nickel 19 jewel 8 adjustment movement. Superior example.